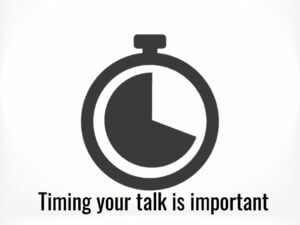 The subject of my talk might have been about the importance of finding out how long a patient had their neuroma, but I thought I would venture into a brief discussion about editing talks, and producing that all-important abstract for your professional presentations. I, therefore, want to reflect on a talk that I gave in March, emphasising some of the considerations speakers have to juggle with when submitting a paper for a formal setting. When offered to provide a talk at this year’s March 2019 Podiatric Surgical Conference, my time slot had not been confirmed until I returned from a long trip abroad, one without internet for most of the time. My abstract submission for the conference had been sent in during the Autumn season 2018 and here we were now in March 2019. I had a hunch this would have to be a short – 10-minute presentation, but I had to await confirmation. The shorter the talk the tougher the timing is. You can immediately see from the header slide that a shorter title was going to work better. “Timeline. Does it Matter? The image compliments the brief title and just has a simple animation to give a hint of the Tardis appearing and time. I am big on images but short on wordss on slides. Shortening a title so it has fewer words is only one aspect of editing. While my talk covered ‘timeline’, which focusing on just this single feature, the opening anecdote and some of the internal content had to be re-jigged rather quickly as I had one week to finalise my content before the conference. An anecdote can work well but it can crucify your time planning. I sneaked in a related introductory comment as a rhetorical statement which fitted the talk’s main theme. The anecdotes affected the timing so I had to chop both this and some material out to shave 2 minutes off the final time. We have to learn the importance of self-editing and sometimes one has to be ruthless. Precise timing is essential and this is something one does not want to do at the last minute. You can fiddle with slides but not the narrative. Narrative and slides work together so you have to take care. Presenting at large conferences is fun especially when you have to meet strict criteria imposed usually by time and even now limited slides. Conferences like the Podiatry settings which have two major presentations in the UK as well as smaller conferences in Northern Ireland and Scotland are now wisely suggesting how many slides should be used. Moving away from the podium and embracing the audience as well as using slides to optimum effect and efficiency are the goals of good speaking. Unfortunately trying to acquire personal feedback is not possible within the time constraints of a ten-minute slot and perhaps one of the let downs for those that desire interaction with questions. One has to fall back on casual comments from delegates. Did I keep to time, did I get the message over? One seasoned speaker did mention he would have liked to have heard more. So in this respect, I can assume I wasn’t metaphorically booed off the stage. What is the point of an abstract? 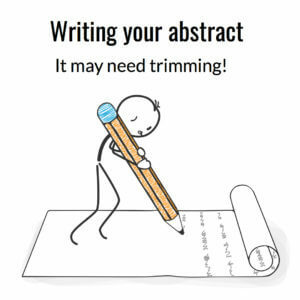 Most of us know we use a writing abstract formerly for professional scientific papers, but perhaps less so for talks. 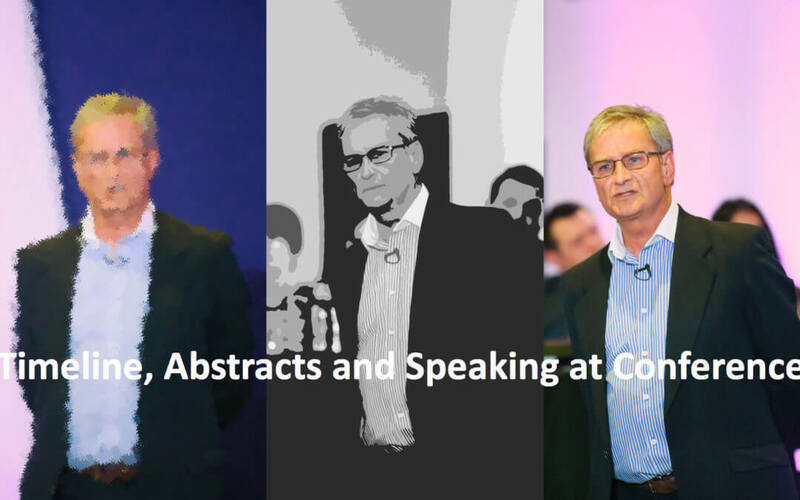 Conferences often require an abstract or at least a summary to make selecting a speaker easier. Of course, if you are chosen to give a plenary talk you can consider the written summary much later on. However, if you are not blessed with an invitation then you are going to have to put pen to paper. Below you can read my abstract for the Daventry talk. It is important to try to make it interesting and engaging in order to capture the attention of those who need to make decisions. As the abstract is profession small social comments are not so easy to slip in. Again, as with the talk being governed by time constraints, the abstract is limited to word count anywhere from 100-500 words. Do remember that you do not have to give away all the information so keep something back. This abstract was around 200 words (212). Aim: This presentation challenges some of the strongly held beliefs of the past by using evidence gathered nearly a quarter of a century ago and re-appraising it with modern evidence. The podiatric surgical community can empower better podiatric intervention. Method: Staging treatment has been proposed as an effective method of managing Morton’s neuroma. The value of ultrasound, however, has been shown more reliable as recent studies have shown the impact on effectiveness and timely intervention. Discussion with results: The use of clinical examination is considered 90-96% sensitive as a reliable test without the need for ultrasound or MRI. Seventy-nine percent of patients might be cured with conservative care. The failure of podiatric integration appears to be the black box learning mediator. Earlier podiatric management should be promoted to avert surgical intervention and improve statistics. Even with surgery the ideal outcome is not assured and is based on duration, patient attitudes, response to healing, aetiology, and extent of pathology. Outcome: Reappraisal is vital to limit recurrence, a need to reduce active surgery, evaluate other methods and provide a better education for podiatric integration and Interprofessional cooperation. The time is right to move attitudes through evidence and patient case experience. For podiatric surgeons, there is now a need to be clearer when intervention is required. Public speaking is fun and something we should all try to embrace despite the fact it may take years to perfect. DO look out for my next publication on Presenting Your Image due out for 2020. If you want to know more about how to prepare, present and use PowerPoint effectively, then this may be of interest to you. Building your C.V these days is important and presenting at interviews, small casual groups, to other professionals adds to the portfolio. After 40 years I am keen to help people present, whether to provide talks to professional and non-professional groups. My experience comes from making every mistake in the book. I call this reflective learning or even Black Box Thinking.